Todd and Sonja Burpo's almost-four-year-old son Colton made an unforgettable trip to heaven and back during the darkest, most-stressed-out days of their lives. Times were tough, money was scarce and the bills, frustrations, and fears were piled high. 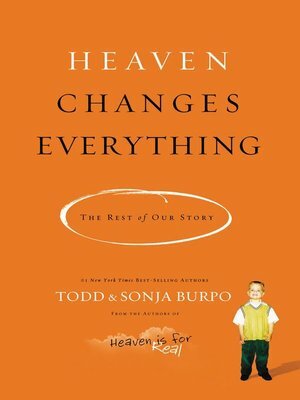 The story of Colton's visit to heaven changed their lives—and the book they wrote about it, Heaven Is for Real, gave new hope to millions of readers.